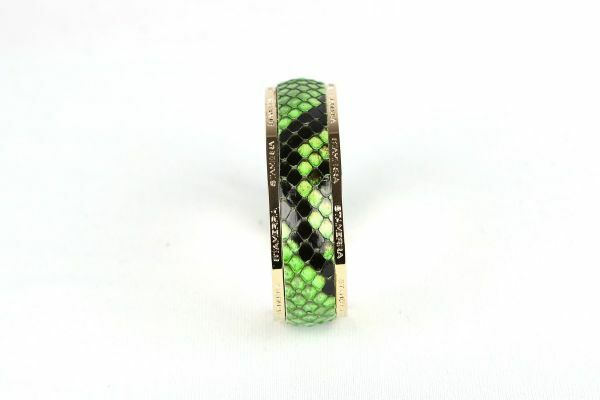 Made in Italy 18 mm bracelet made with genuine shiny python skin. Logo Stamerra on sides. Will be delivered with CITES certificate. The metal is solid brass 0.20 micron plated.Will be delivered with CITES certificate.